The crossing of national state borders is one of the most-discussed issues of contemporary times and it poses many challenges for individual and collective identities. This concerns both short-distance mobility as well as long-distance migration. Choosing to move - or not - across international borders is a complex decision, involving both cognitive and emotional processes. 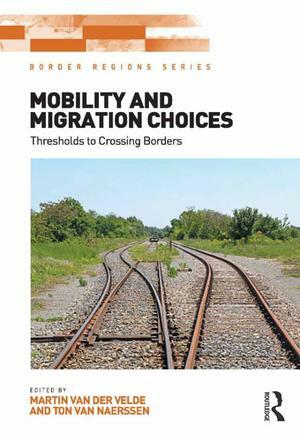 This book tests the approach that three crucial thresholds need to be crossed before mobility occurs; the individual’s mindset about migrating, the choice of destination and perception of crossing borders to that location and the specific routes and spatial trajectories available to get there. Thus both borders and trajectories can act as thresholds to spatial moves. The threshold approach, with its focus on processes affecting whether, when and where to move, aims to understand the decision-making process in all its dimensions, in the hope that this will lead to a better understanding of the ways migrants conceive, perceive and undertake their transnational journeys. This book examines the three constitutive parts discerned in the cross-border mobility decision-making process: people, borders and trajectories and their interrelationships. Illustrated by a global range of case studies, it demonstrates that the relation between the three is not fixed but flexible and that decision-making contains aspects of belonging, instability, security and volatility affecting their mobility or immobility. Copyright © 2015 Martin Van Der Velde and Ton Van Naerssen for selection and editorial matter. Individual contributors, their contributions.